All of the items we use in day-to-day life were the result of a designer’s vision and skill. 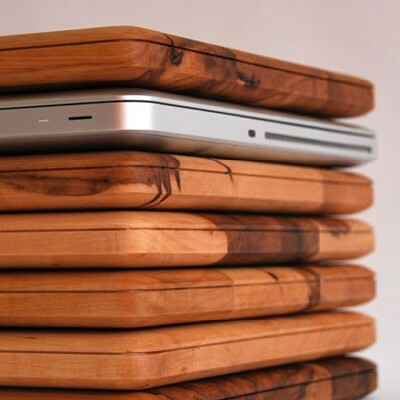 Some products are basic; designed to be simple and practical. That in itself can create beautifully understated objects. Other items display a flair that trancends the merely practical to the level of art. The very best in my view are objects which combine practicality with eye-catching style. In this occasional series we would like to feature those things that catch our designers’ eyes, as it were. So, how do we go about creating our designs? As fine artists you can be certain of one thing: We never use clip art. We would cut off our hands first! Here is a brief explanation of our process. Our ideas can come from anywhere, really; sometimes as ideas sketched in the early hours, sometimes from conversations, sometimes pure inspiration. I decided to do something along the lines of an automaton. 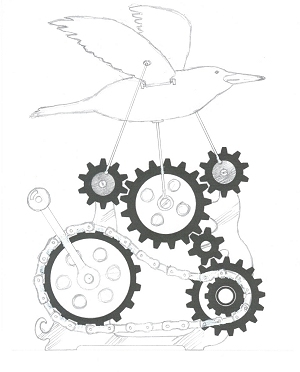 These are typically figures, animals, or artworks animated by the use of hand- or clockwork-driven gears, pulleys, and bits of string and wire. These are delightful devices, particularly popular in the Victorian era, yet still made and enjoyed today. I pictured a blackbird or crow in flight whose wings are operated by pushrods. These pushrods are driven by a series of gears which in turn are powered by a hand crank with chain drive. All very practical. 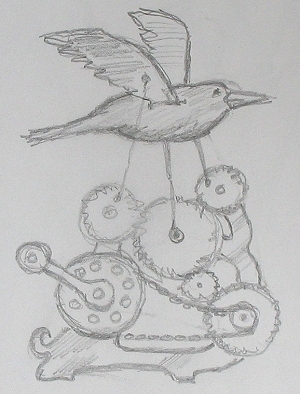 I imagined the gears to be made from brass with a black bird and chain. At this stage the whole contraption was to be mounted on a base with a structure to support the various gears. In the next stage I developed the gear drive and chain-driven cogs using a variety of scaleable gears in Adobe Illustrator. Once satisfied with the layout, I printed this and added the rest of the image with graphite pencil. This was now approximately full size. This image was then scanned and passed over to Marie for further rendering. Now, Marie took the design into Quark Express and drew the whole design by hand using the Beziér pen tool to create the lines and shapes. Her attention to detail at this stage has to be seen to be believed. I thought I was a perfectionist until I saw her work. When you see the design on your own shirt you will certainly come to appreciate her skills, too. During this stage, we continued to discuss the design and develop the idea. As you can see from the final design here, we removed the whole base. 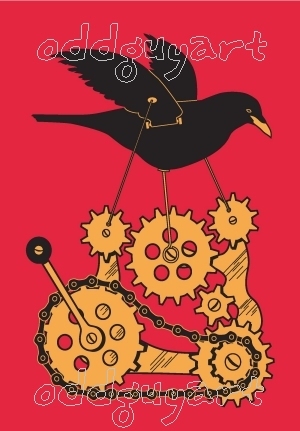 Is the bird operating the machine, or the machine operating the bird? We like the ambiguity introduced by removing the base. We also changed the attitude of the bird after looking at many photo references. The final colour choice was made at this stage, too. This design is a two-colour design and is printed that way. (In some cases, such as “The Last Supper,” Marie used the shirt colour as a third colour in the design). Finally the design is sent to Adobe Acrobat for conversion to the file format required by our screen printer. Copyright © 2010 by Hetzel and McAllister. All rights reserved. poll: how do YOU overcome designer’s block? Click below to subscribe to our blog. (Go on. We know you want to).